Shiny Beasts is a compliation of the early work of acclaimed comic book artist Rick Veitch. The title is taken from Rick’s 1981 creation, Shiny Beast, which according to Stephen Bissette in his MYRANT page is more than just a nod to Captain Beefheart. Stephen describes at some length just what it is about Captain Beefheart which inspires Rick Veitch and himself. Many of us fondly remember Stephen Bissette’s work Big Eyed Beans From Venus which included lettering by Rick Veitch. 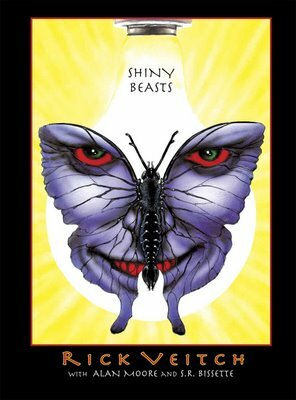 Mike Lorah’s interview with Rick Veitch about Shiny Beasts is available at newsarama.com. Shiny Beasts will be published in April.